Walden, Colorado offers world class trout fishing and this week Bob will be right in the middle of one of the best trout streams in the world. Nestled between the rugged Mt. Zirkel wilderness area and the majestic Medicine Bow Mountains in Northern Colorado, the Platt River is one of the finest trout streams in North America. Bob will feature rainbow trout on both light spinning tackle and fly fishing techniques….. a true adventure of a lifetime, don’t miss a single minute of this action. This entry was posted in Episode, Featured Stories and tagged fishing, North America, Platt River, trout fishing, Walden Colorado on 11/11/2013 by BROM. Walden Colorado offers world class trout fishing and this week Bob will be right in the middle of one of the best trout streams in the world. Nestled between the rugged Mt. Zirkel wilderness area and the majestic Medicine Bow Mountains in Northern Colorado, the Platt River is one of the finest trout streams in North America. This week on FSN, catch up with Bob and watch a little rainbow trout fishing with some light spinning tackle and fly fishing techniques. This is a true adventure of a lifetime, so don’t miss a single minute of fishing action. This entry was posted in Fox Sports Net - This Week and tagged fishing, FSN, trout fishing, Walden Colorado on 11/11/2013 by BROM. Walden, Colorado offers world class trout fishing and this week Bob will be right in the middle of some of the best trout streams in the world. Trout Valley Fishing Club is the most exclusive trout fishing club in the country. Nestled between the rugged Mt. 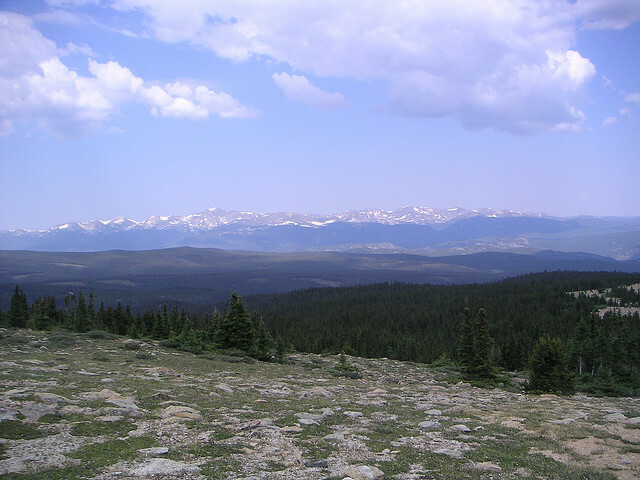 Zirkel wilderness area and the majestic Medicine Bow Mountains in Northern Colorado, the club privately leases 100,000 acres of land and 60 miles of the finest trout streams and lakes in North America. Trout Valley Fishing Club Manager/River Keeper Hugh Fadal will set Bob up for a trout fishing adventure of a lifetime, don’t miss a single minute of this action. This entry was posted in Episode and tagged fishing, North America, trout fishing on 04/01/2012 by BROM.